This is a Men’s Group Workshop. The methodology used in this coursework is referred to as “Foundational,” because through the many studies, degrees and countless hours of one-on-one life coaching sessions, Filippo Voltaggio has found that though many methodologies that are considered transformational can indeed work, but more often than not fail, through no fault necessarily of the student, and sometimes the teacher. The Foundational Life Coaching Course, is a Beginners Course, because it takes the student through the building or rebuilding or recognition, at the very least, of our foundational core. This is also the first bootcamp of its kind. This term has been applied to military training, specifically for new recruits and consists of strict training. The term “boot camp” has also been come to refer to a short, intensive, and rigorous, course of training and is being applied more and more to athletic training. This course of learning, in some form or another, has become so core to Filippo’s one-on-one sessions, that almost invariably, whether clients come to him for help with relationships, career changes, personal happiness, health issues, etc., he will begin his work with his clients with core work. When on occasion he has been challenged about this, as in, “This is great, but what does this have to do with me getting a job?” Or, “I don’t understand how doing this will help me get the relationship I want?” Filippo’s answers with responses like “When was the last time you hired someone who didn’t know what they wanted?” Or, “When was the last time you wanted to date someone who didn’t know who they were?” Though people who don’t know what they want, do get jobs, and people who don’t know who they are, do get into relationships, this is not the ultimate goal. Many of those people get fired, hate their jobs, quit, and then find themselves in similar or worse situations than when they started. Many of those people end up getting in relationships that at best could be not what they want and at worse could lead to emotional pain, costly divorces or illnesses, etc. In this day and age, no athlete, especially professional athletes, would pretend to be able to make it in the “big leagues,” without a coach. Why is it okay to “pretend” we can make it in this ever changing world/life without a coach? Especially when we have not been given the tools as children, or worse, been taught the opposite by parents, teachers or even well meaning adults in our lives who did not know better. Bad habits are detrimental in sports, and even more so in life. 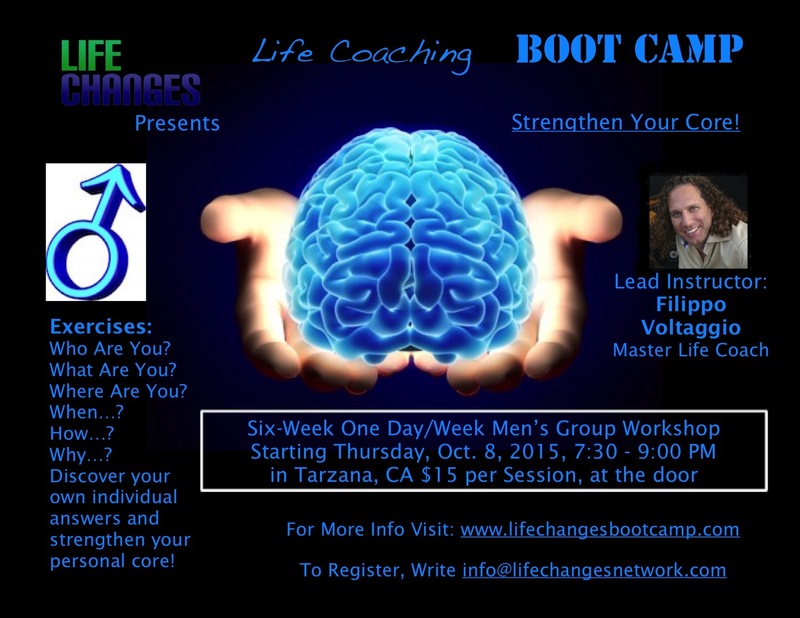 Develop your core, change your life… Life Changes Boot Camp, it’s time to start living your life not someone else’s!